Our easy to install Nashville conversion posts - replaces existing Nashville posts without modification! This is the solution for owners of Nashville equipped guitars who want the "vintage" look without the need to drill and tap the guitar body. Although not as sustain enhancing as our BSWKIT, the NSWKIT with steel posts (5MM base/4MM stud), is a huge improvement over the stock inserts and will easily allow you to the use our Tone-Lock Bridge (metric). 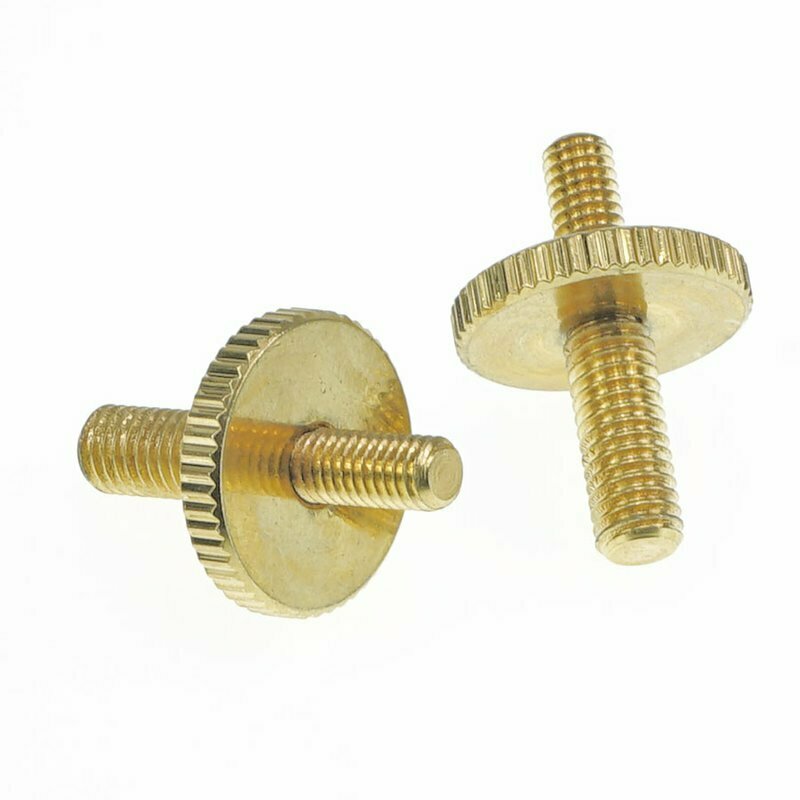 Comes with one pair STEEL studs and integrated thumbwheels (gloss nickel, aged nickel, gloss gold or aged gold). Although the NSWKIT is the easiest solution for Nashville equipped guitars to convert to the Faber ABRN or ABRL Tone-Lock bridges, the original Nashville inserts are made from a very poor tone transferring metal. A better idea is to remove those inserts and replace with our German steel iNsert, which will enhance the resonance and sustain of your guitar and allow you to replace your Nashville bridge with our ABRN or ABRL Tone-Lock bridges.